New York: President Donald Trump’s administration is reportedly planning to expand its ‘Mexico City’ policy that bans U.S. funding for overseas abortions. According to a report by the Independent, the U.S. State Department has announced a programme, called Protecting Life in Global Health Assistance, which will get USD 8.8 billion to fund non-governmental organisations around the world that comply with the “global gag” rule. It states that no organisation receiving US money can promote or discuss abortion services, even if they are using foreign funds to do so. CBN News reported that the money will come from the US State Department, the US Agency for International Development (USAID) and the Defence Department. 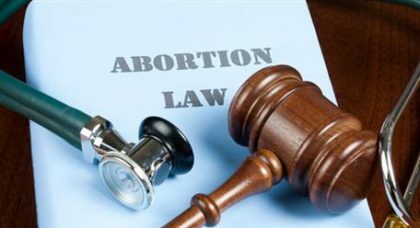 The Trump administration has reinstated the rule from the George W Bush administration, which prevents any foreign organisation receiving US funds from providing abortion services. The Bush administration excluded programmes that involved HIV/Aids prevention from the rule but Trump did not as he expanded global gag to apply to all global health assistance funds. Organisations that do not comply with the provisions laid out by Protecting Life in Global Health Assistance programme will not receive funds. That money will now go to organisations that do agree to comply, according to the State Department. The agency also said in its statement that “the policy will apply to all new funding agreements…and to existing agreements when amended to add funding,” however the total amount of existing funding for global health assistance will not be cut nor will the existing contracts be broken.